Getting to attend my first New York Fashion Week was such an amazing experience. Even though I didn’t get to go to any of the premier designer shows, I still got to attend quite a few up-and-coming designer shows that were a lot of fun. With the trip behind me, I have an eye on the biggest trends from New York Fashion Week. Here are 7 that stood out to me. 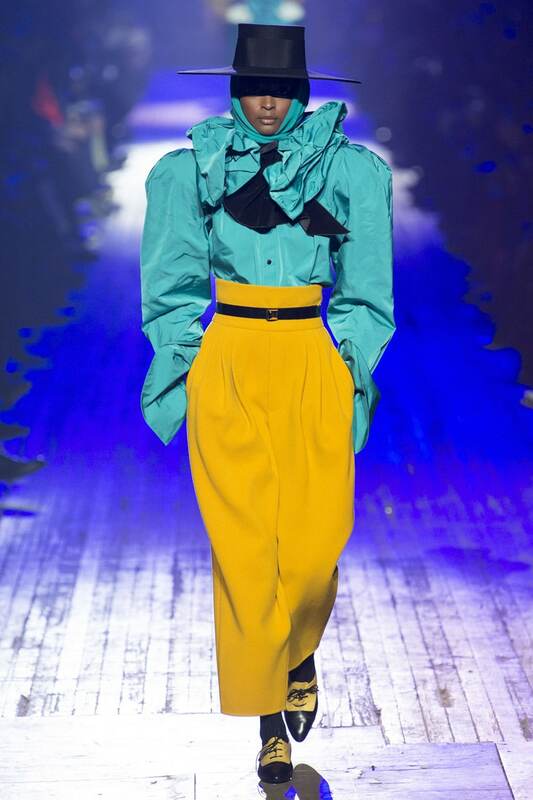 Bright colors were all over the runways this spring. The colors I saw, I would call them neon, and they take me right back to elementary school in the 80s. The colors were very saturated and many of the designers showed monochromatic or color blocked bright colors. Some of the designers who showed neon colors include: Tom Ford, Carolina Herrera, Marc Jacobs, and Sachin & Babi. Some of the most gorgeous dresses from the Spring 2018 New York Fashion Week are the dresses made from sheer fabrics. The way the designers draped the sheer fabric was so gorgeous. I personally like the sheer dresses, but they leave little to the imagination; I find the skin-revealing fabrics are so feminine. Some of the designers who showed sheer fabrics include: Ulla Johnson, Mansur Gavriel, Jason Wu, and Jeremy Scott. 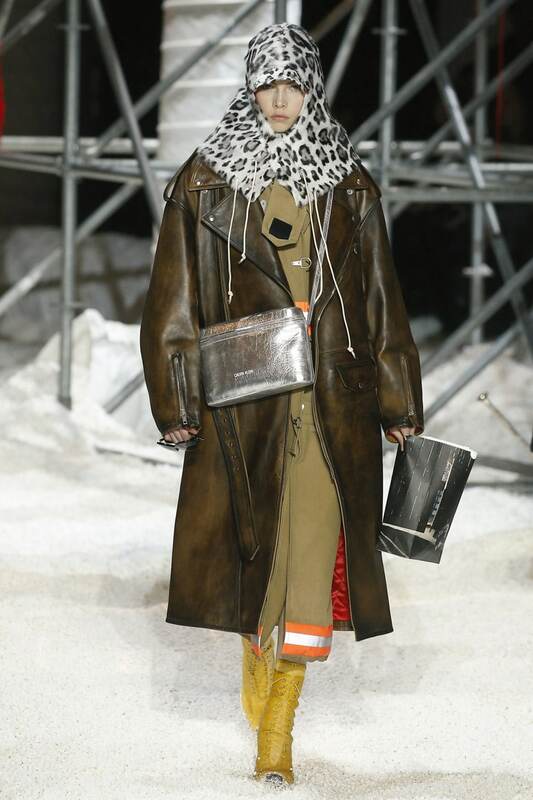 So many of the major designers showed long leather coats. They ranged in color from black to brown to light pink. Some of the designers who showed the long leather jackets include: Alexander Wang, Juicy Couture, Dion Lee, Calvin Klein, Marc Jacobs, Michael Kors, Coach, Victoria Beckham, and Christian Sariano. I really like the long leather coat trend. Leather is one of those closet staples that’s always in style. I would opt for a cut that is pretty classic and doesn’t have too many embellishments, so the coat can last you many years. I noticed a few trench-style leather coats, which would definitely be a good investment piece for 2018. There seems to be a resurgence of American-themed clothing this spring, showing our flag’s colors in their designs. They showed tons of stripes and stars. 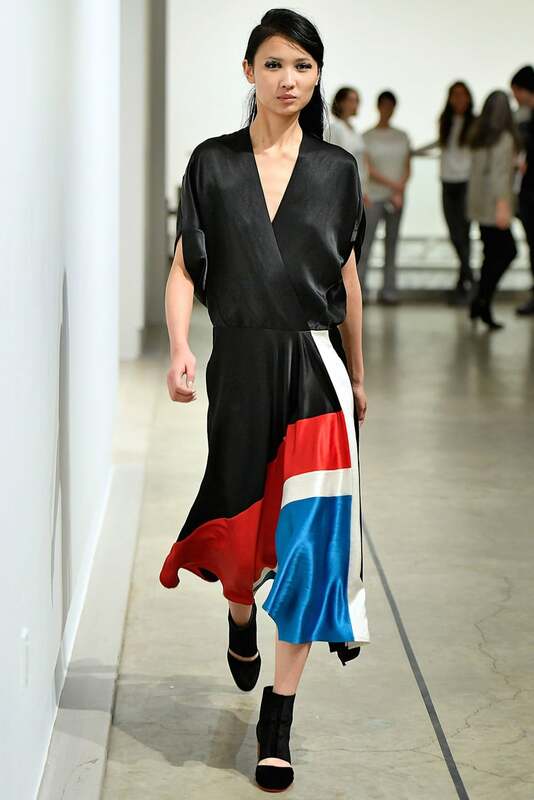 Some of the designers who showed Americana include: Self-Portrait, Phillip Lim, Zero + Maria Cornejo, Calvin Klein, and Monse. Long jackets were all over the runway this spring. I would classify the trend as rain jackets – but they took different shapes as long windbreakers, parkas and anorak jackets. 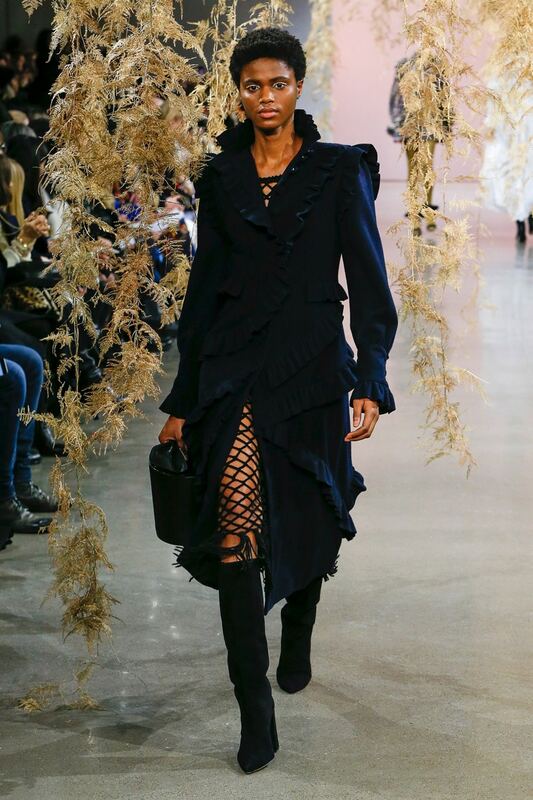 Some of them were super casual, while others were dressier, but we saw this trend from lots of designers, including: Public School, Oscar de la Renta, Calvin Klein, Dion Lee, and Claudia Li. 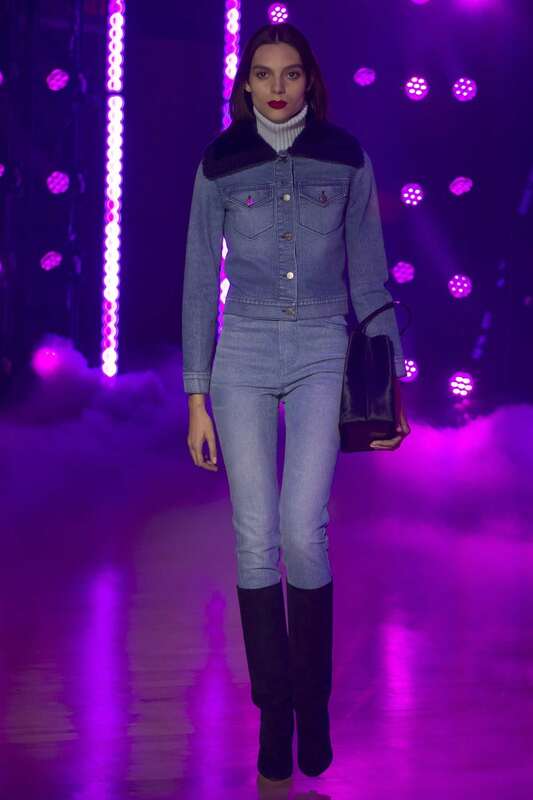 I was surprised to see so much denim on the runway. Often, the runway is so much more upscale and not so approachable. The denim was taken up a notch though, with lots of embellishments. Some of the designers even paired them with evening attire to really take it up a notch. Solace London, Adam Selman, Brandon Maxwell and Alexander Wang are some of the designers that showed fancy denim. Several designers showed sheer net fabrics. Think fish nets, but in clothing. Ulla Johnson showed one netted dress under a trench that I thought looked so chic. 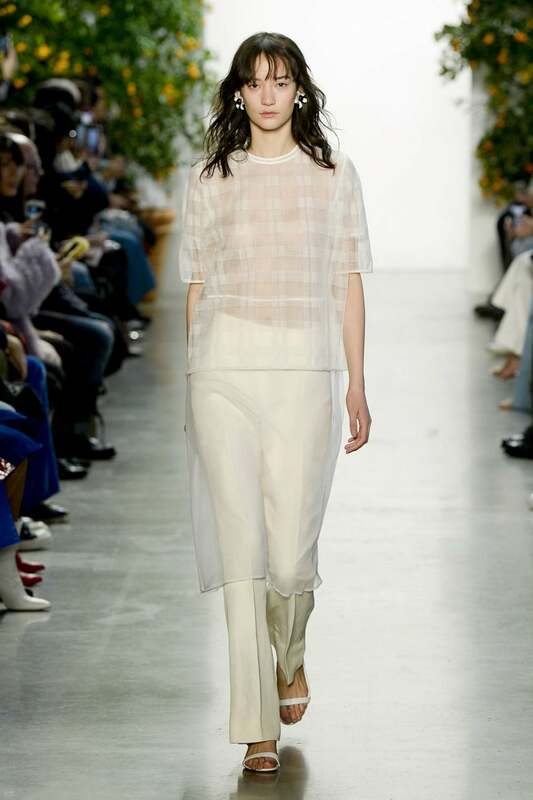 Dion Lee showed quite a bit of netting as well as the sheer trend I mentioned above. I definitely like the netting trend, but like the sheer trend, might not be that easy to pull off for the average girl. Of all the biggest trends from New York Fashion Week, I think the dressed-up denim trend is the easiest for the average fashionista to pull off. I personally will not be rocking the neon colors, but I do love saturated colors. Give me a bright sweater or handbag. You won’t see me wearing head-to-toe magenta, but I do like adding a bright pop of color here or there. I’m already looking for the long leather coat, as I have a bit of an obsession with leather (a recent moto jacket post). I also like the idea of the rain coat trend. Now that I’m in Boston, I need all the weather protection (that’s still stylish) that I can get! Which trend(s) do you think you’ll try in 2018?